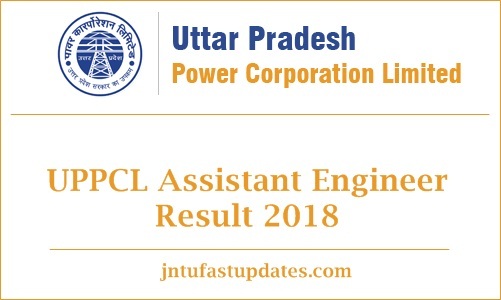 UPPCL Assistant Engineer Result 2018-19: Uttar Pradesh Power Corporation Ltd. (UPPCL) recently organized the assistant engineer trainee examination in the month of December. A large number of applicants have taken part in the written test to check their luck. The organization conducted the assistant engineer written test in many examination centers across the state of Uttar Pradesh. As per the reports revealed by the UPPCL, almost all the applicants have attended the test. All the competitors clashed for the assistant engineer trainee examination can wait for few more days to check the results. The UPPCL is expected to release the result shortly on its official portal, uppcl.org. Aspirants can presently check the UPPCL Assistant Engineer answer key from the same portal. Candidates can go through this article for more information regarding UPPCL Assistant Engineer result, cutoff marks, and merit list related information. Uttar Pradesh Power Corporation Limited is the state level power supply organization that works in many zones across the state. The organization yearly offers various job notifications for the interested and eligible aspirants. This year the UPPCL has announced notification 299 Assistant Engineer Trainee posts. The application process for Assistant Engineer posts has continued from 6th November to 30th November. Many of the eligible aspirants have applied for the announced posts. As the selection process includes the written test and interview rounds, candidates have to clear the rounds with good merit to get shortlisted for AE Trainee posts in the state of Uttar Pradesh. Finally, the organization will consider the candidates with good merit will be taken into consideration for appointment. All the competitors clashed for the UPPCL AE written test have to wait for few more days to download the result. The organization usually announces the result within 3 to 4 weeks after the examination date. Hence the competitors can stay patient until the UPPCL announces the result date. Candidates can keep checking the UPPCL portal, uppcl.org for latest updates. Also, the competitors can keep visiting our page for up to date information. Aspirants need to get the minimum cutoff marks/qualifying marks to clear the exam. The cutoff marks/qualifying marks will be decided by the organization based on various facts such as the number of announced posts, the number of competitors clashed for the examination and various other factors. Candidates can check UPPCL Assistant Engineer Cutoff Marks category-wise, section-wise and overall at the time of declaration. Candidates have to score the qualifying marks as specified by the UPPCL. For the reference of the competitors here we are mentioning the last year cutoff marks. This year the qualifying marks might be tentatively same. Just refer the cutoff given here. Aspirants competed for the UPPCL Assistant Written test can expect the cutoff marks/qualifying marks to be released along with the result. Also, the organization will release the merit list of qualified candidates along with the result. The candidates shortlisted in the merit list will be accountable for the next rounds of the selection process. Search for ‘Assistant Engineer Trainee Result 2018’ Link on the homepage. Click on the link and it prompts you to enter the login details. Provide the required information and tap on the submit button. The result, cutoff marks, and merit list displays on the screen. Check the result and take a printout to further reference.